With a Ph.D. in analytical chemistry, Greg has been a scientist, software developer, systems engineer and is now an artist. A self taught photographer, he started learning photography and dark room work in high school in the early 1970s and went completely digital in 2002. Greg has been photographing performers since 1981, specializing in existing light photography of live performances. Greg's live jazz photography was nominated for National Jazz Awards in 2007 and 2009. The intimate style of his photography conveys the essence of the liver performances he documents. 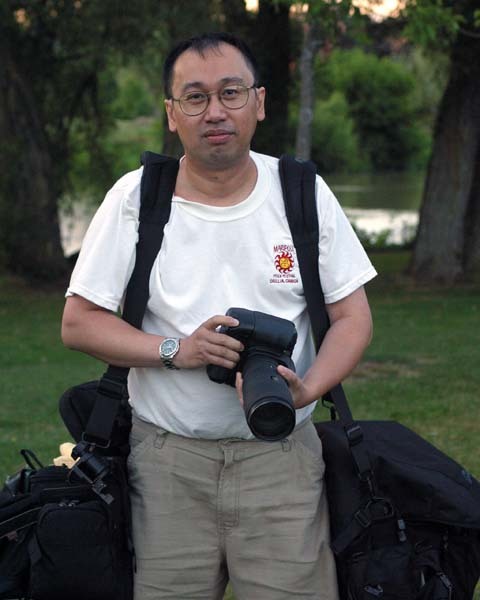 Greg's images have been exhibited in Toronto and area as well as published in a number of magazines and newspapers. His work also appears on numerous music CDs and websites, including the CBC Radio 2 website. In addition to private collections, Greg's work is on permanent display at the Newmarket Community Centre and Toronto's Rex Hotel. Greg photographs for the Aurora Jazz Festival, Toronto Blues Society, Bravo Academy, and Opera York. He has also worked for Jazz City (Edmonton). Performers he has worked with include: The Wailin' Jennys, Autorickshaw, Amos Garrett, Danny Marks, Amanda Martinez, and Melissa Stylianou. Greg also does commercial and industrial photography in addition to his performance and fine art work. His clients include the Town of Newmarket as well as local businesses and construction contractors. Recently, he started making music and documentary videos. Greg enjoys jazz and roots music and currently lives in Newmarket, Ontario. He is active in both the visual and performing arts communities in the Toronto area. He is a founding member, and current President, of the Newmarket Group of Artists.